When We Were Twins is an album of rock / pop / electro-folk songs based on Tanuja Desai Hidier’s novel Born Confused, and written and performed by Tanuja and the London and NYC bands she was singing / songwriting in (San Transisto and T&A) —which include present-day musical coconspirators Atom Fellows (T&A, NYC) and Marie Tueje (Angels With Whips, LDN)—as well as by her musical project with Jeff Cohen and Mike Shimshack (Unsuitable Girl). 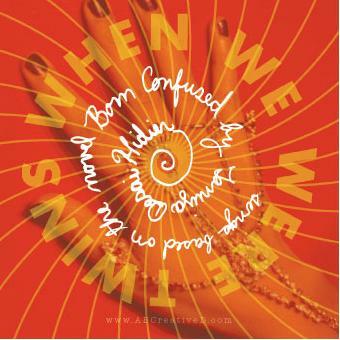 Born Confused has been hailed as the first ever South Asian American coming-of-age story. The book is set in the context of New York City’s burgeoning bhangra / Asian Underground scene. Fitting for a cross-cultural tale, When We Were Twins is a cross-Atlantic collaboration, written and recorded half in the US, half in the UK. All players involved launched When We Were Twins in a rock-n-reading (as she dubs these book readings interwoven with live music) to a full house at Joe’s Pub in the Joseph Papp Public Theater in New York, joined by special guest percussionist (and Bombay Spleen producer) Dave Sharma, and complete with a live custom-made mix from NYC’s reigning queen of South Asian dance music, special guest spinner DJ Rekha (also on the album). 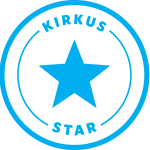 This musical book event, Rock ‘n’ Revolutions, was a New York Magazine star pick of the week, Time Out New York highlight of the week, and Flavorpill choice—and was the first time all the musicians involved were in the same country, let alone room, at the same time. When We Were Twins was featured in Wired Magazine (“Books with a Backbeat”) for being a first-ever booktrack; Creative Artists Agency / Youth Intelligence and TrendCentral.com selected the album as a cutting edge first-of-its kind trend of the future—the lit rock ‘booktrack’. The album is also an Asiana Magazine “Crush” pick in the UK as well as a Vida Magazine pick of the month in Asia, and has been included, with the novel, on the syllabus of a Brown University literature course in the USA.